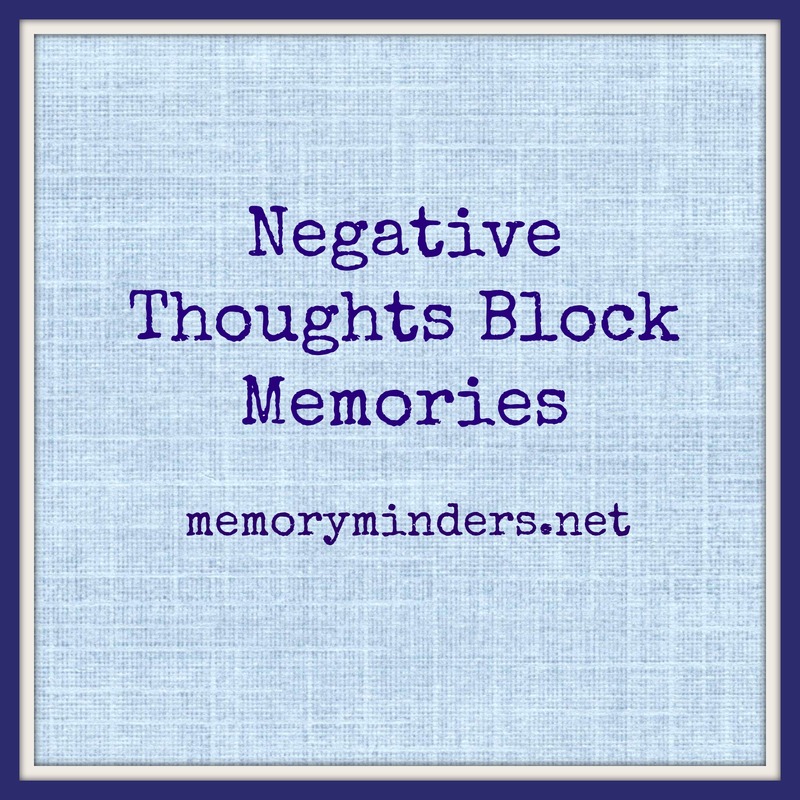 Negative thoughts block memories. Most people agree a positive attitude is more desirable than a negative one. But few truly understand the impact it has on their memory. I will always choose to be around a positive person if given the choice. If you could spend a day or evening with someone who is upbeat and fun or someone who is whiny and full of complaints, who would you pick? I learned this a while back while working in the hospital. There was a particular woman I occasionally worked with. While she was a nice person, she also had a tendency to see everything in a negative light. She’d complain, comment and after a while, I felt myself getting sucked into her negativity. Although nothing really went wrong, after working with her it felt like a bad day. I internalized the negativity around me as a bad day. My day was not really bad, but what I remembered about it was. In the midst of that day, I missed all the good things. I lost out on all the positive memories which I will never get to make from that day. Getting sucked into negative thoughts is what I call a negative vortex. It can happen anytime and I just experienced it again recently. Click here for another blog post I wrote on this topic and how to shift out of it. 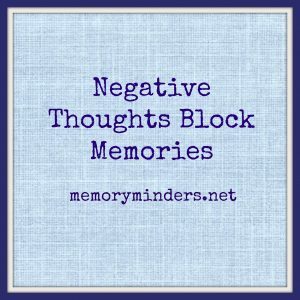 Recently, at one of my presentations on different types of memory, a woman mentioned she felt her negative thoughts interfered with her memory. I told her she was absolutely correct. When we see the glass as half empty, we give up before even trying. In the process, wonderful, intentional memories are forfeited. We choose what we think and then subsequently do. If a negative thought is chosen, it limits the rest of our thoughts and actions before they even occur. It subconsciously hinders our choices and impacts our memories and overall wellness. A positive attitude is also critical to our physical wellness. It can carry us through undesired situations, illnesses and events in life. It can improve blood pressure, pain as well as lower stress which often can lead to detrimental diseases. When negative thoughts come, consciously push them out of your mind. Focus on the positive, choose to see the glass as half full and watch your outlook, memories and wellness improve.